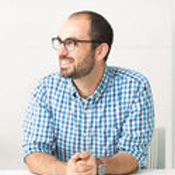 Adam has spent the last decade building the the technology that powers PayScale. He's worked in various roles, from product manager of the consumer website to leading the team the works completely behind the scenes. Adam has a bachelor of science from University of Idaho and a master of science from Carnegie Mellon University. He lives in Seattle with his wife and 2 kids.